To truly celebrate the end of 2011 and the beginning of 2012, English Razza will take place on Saturday December 31st at 5pm, St Mary’s Church. (This service will replace the Sunday Razza the following day). 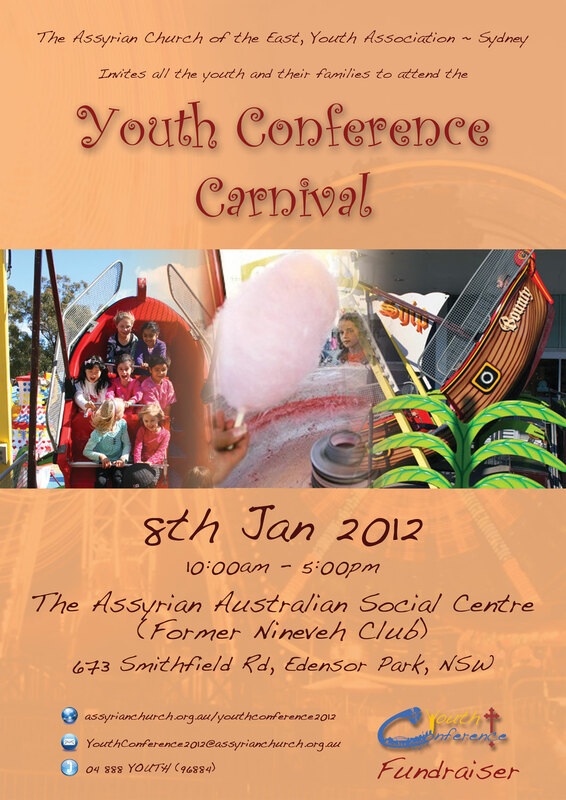 The Assyrian Church of the East, Youth Association ~ Sydney is Inviting all the youth and their families who are living in Sydney to attend the Youth Conference Carnival to enjoy their time and help raise funds to the upcoming Youth Conference in 2012. The Youth Conference Carnival will be filled with lots of fun and different Rides, food, DJ and Petting Zoo.